Welcome to HomesofColoradoSprings.com, your complete resource for Colorado Springs Real Estate. We are personally invested in the Colorado Springs market which brings a unique customer and investor approach to buying and selling. Our expertise focuses on honesty and listening to our clients needs. We present all aspects to our clients, both positive and negative, enabling them to make the best decision for them and their family. We specialize in residential, land and new construction. Looking for a hard-working, honest team that keeps your interests first? Contact us today. Sign up to customize your free personal website to search and compare Colorado Springs homes, condos and land for sale. Each day your specific criteria will be matched to the Colorado Springs MLS and all new listings and price reductions will be emailed directly to you. Save your searches and favorite properties and even schedule your property showings online! CLICK HERE TO SEARCH FORECLOSURES FOR SALE! HomesofColoradoSprings.com reaches millions of potential buyers worldwide. 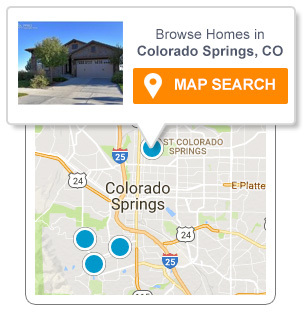 With hundreds of registered users searching daily in all Colorado Springs communities, we may already have the perfect buyer for your property. Ready to sell? Contact us for a free market assessment to help you make the best decision. With the constant changes in today's mortgage market a pre-approved loan is required and highly recommended before searching for properties. We select quality lenders who specialize in each area as needed for our clients particular situations so there are no surprises at closing. We offer professional relocation services for individuals, families or companies moving into or out of the Colorado Springs area. From our first point of contact with you our knowledgeable team will be able to provide the information you need to finalize the decision to move or guide you through the entire relocation process.